North Korea appears to be launching an unusual diplomatic marathon. Earlier this month, the South Korean daily, Joongang Daily, reported that North Korean Foreign Minister Ri Su-yong plans to attend the United Nations General Assembly next week in New York. It will be the first time a North Korean foreign minister has attended the forum in 15 years, and only the third time ever Pyongyang’s top diplomat has attended the annual summit in the country’s history. During the summit, Foreign Minister Ri is expected to give a keynote address to the General Assembly, as did the other two DPRK foreign ministers who attended in the past. The move to send Foreign Minister Ri to the UN summit is widely viewed by North Korea watchers as an attempt to spur more diplomacy with the United States. North Korea’s UN office has long been used as an informal negotiation channel between Pyongyang and Washington. “Given that Obama has just changed his NK team, and 6 years of ‘strategic patience’ has got nowhere, it wouldn’t surprise me if both the US and DPRK were to put out feelers at this point,” Aidan Foster-Carter, an Honorary fellow in Korean Studies at Leeds University, told NK News. “How far it will go is something else,” he later cautioned. The move also makes sense from North Korea’s perspective. Indeed, as relations with its main ally, China, have deteriorated– even as China has strengthened its relationship with South Korea– Pyongyang has made overtures to both Russia and especially Japan. Reaching out to the U.S. would make even more sense given Washington’s alliance with South Korea. The decision to send Foreign Minister Ri suggests North Korea may be serious. As a close confidant of North Korean leader Kim Jong-Un, Ri is likely to have a fair amount of authority in negotiating with U.S. officials. If the two sides do meet, Washington is likely to push Pyongyang to release three Americans it is currently holding hostage. 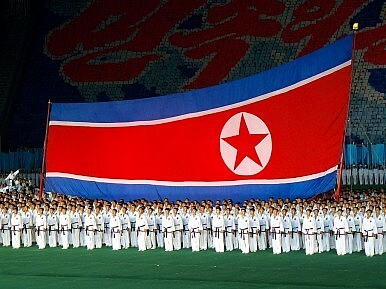 But North Korea is not limiting itself to the United States. Earlier this month, Kang Sok-ju, a former vice prime minister and current international affairs secretary of the ruling party, traveled to a number of European countries, including Belgium, Switzerland, Germany and Italy. On his way to and from Europe, Kang stopped in China, where he met with Chinese officials. This is significant because Kang has previously served as North Korea’s top nuclear negotiator, and therefore the two sides may have discussed how to restart the long-stalled six-party talks. In addition, Kang met with Mongolian President Tsakhia Elbegdorj and Prime Minister Altankhuyag Norov in Beijing this week on his way back from the trip to Europe. Foreign Minister Ri has also been active outside of his upcoming UN visit. As The Diplomat previously reported, Ri visited five Southeast Asian countries last month and attended the ASEAN Regional Forum. Ri also visited Iran this week, where he met with Iranian President Hassan Rouhani. He may meet with his Japanese counterpart at the UN next week.